A couple of days after a visit to my favorite Asian store has left me taking another “kitchen bullet” for you. With my list of regular veggies to pick up I was distracted by the different varieties of rice that were available. So many color; white, brown, red and black! The black ones at first caught my eye. 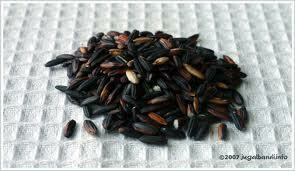 In thinking of health is in a colorful diet, I googled black glutinous rice. Whoa, I was impressed. *just 10 spoonfuls of steamed black rice to get the same amount of anthocyanins you would by eating a spoonful of fresh blueberries. With blueberry season being several months off, perfect I thought. A fill in the gap, warm me up from the inside out, comfort sort of food. THIS appeared to me as a SUPERFOOD!!!! Oh ya, forgot the sticky part. Aw, heck how sticky can it be was my thought. So along with a bag of red cargo rice, into my cart it went. Hours of soaking and a good 45 minutes of cooking the pot was left to cool. Little did I know that brewing under the lid of the pot was a gooey sort of mixture. This rice was prepared for a quick stir fry with some veggies and tofu. I know if you have made this you are laughing right now. There is no way this cooked rice was going to be suitable for a sitr fry. The stickiness in glutinous rice is due to amylopectin and a small amount of amylose, two types of starch molecules in the rice that when added to hot water, break apart and cause the grain to become mushy and sticky. The taste of the rice was quite pleasant, the color was beautiful. I shared my disappointment with my daughter as I gave her a taste. Another search ,WHAT did we do before the internet, for WHAT am I going to do with this pot full of rice????? I found a recipe for a rice pudding using coconut milk, roasted coconut,brown sugar and black glutinous rice. But wait, you were required to cook the rice in the coconut milk!!!!!! Back to square one. Since the how to use this rice was out of the question, I started to ponder “when” could I use such a high glycemic food????? High glycemic foods are best consumed after particularly high energy training. I have my answer for a recovery meal/shake and was turning to this rice for a healthy meal for my family. I quit! Sticky rice you win! My lab has been enjoying the rice and will so continue to enjoy it as an add-in for his raw food diet…….for the next three weeks. 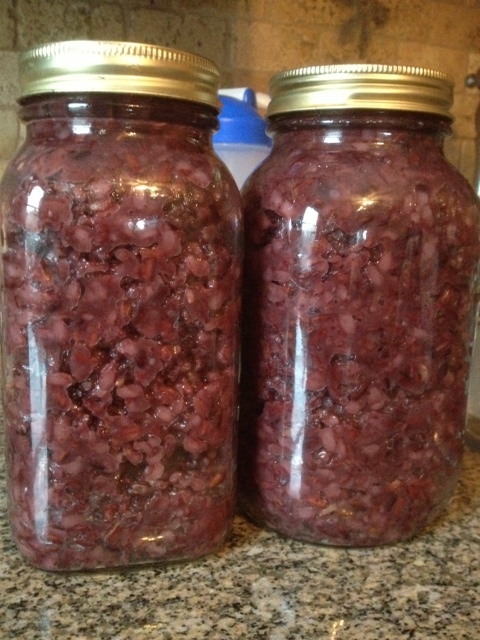 There is just that much of it and off I go to prepare NON-GLUTINOUS red cargo rice. 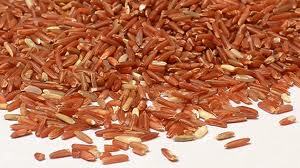 Red cargo rice, also known as red jasmine rice, has many health benefits over other rice varieties. *it may help reduce cholesterol and improve circulatory function. Note: Pure sugar has an Glycemic index of 100.